More often than not, if the owner(s) of the new waste transportation business has no experience in the industry previously, the NJDEP will require that owner(s) to consult with an attorney familiar with the solid waste industry and/or a solid waste consultant. The attorney or consultant is then required to submit a letter to the NJDEP confirming that he or she is familiar with the laws related to the solid waste industry and have advised the business of its compliance obligations. 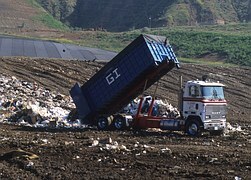 A waste transportation business’s compliance obligations may vary based upon what kind of waste is being transported. For instance, most waste transporters must also complete an application for a Certificate of Public Convenience & Necessity (“CPCN.”) A CPCN may only be completed after a waste transportation business has obtained its A-901 license. The CPCN seeks information similar to the A-901 including information regarding owners, locations, key employees, etc. However, septic waste transporters generally need not complete a CPCN application. However, septic waste transporters may have compliance obligations under the Clean Water Act. Likewise, hazardous and/or medical waste transporters may have additional compliance obligations. Hazardous waste transporters are regulated under the federal Resource Conservation and Recovery Act by the Environmental Protection Agency and the United States Department of Transportation. Beyond that, there are also local rules and requirements for waste transportation businesses. Each county in New Jersey may establish its own regulations for waste transporters. Generally, the counties dictate which waste facilities transporters can delivery to and what type of waste may be deposited there. Oftentimes, they also set forth transportation routes to be used. Therefore, with waste transporters unfamiliar with these rules and regulations, the NJDEP has sought to have new transporters become educated about their obligations under New Jersey Solid Waste law prior to beginning operations. McLaughlin & Nardi, LLC’s attorneys are experienced with the laws and regulations in the solid waste industry and can provide consultation services for companies seeking to either begin their new business in the waste transportation industry or companies seeking to improve their operations to ensure compliance obligations are met. To learn more about what we may be able to do to help, please visit our website, www.esqnj.com or contact one of our New Jersey lawyers by e-mail or telephone at (973) 890-0004.